I use it when hanging the raw conhepper. I purchased it to adjust the length of the chain using Quito's grab hook for 3.2 t chains ring, but there is enough durability. This review is about item#75124104. If you do not try using it Unique first-class items! There is a worry. 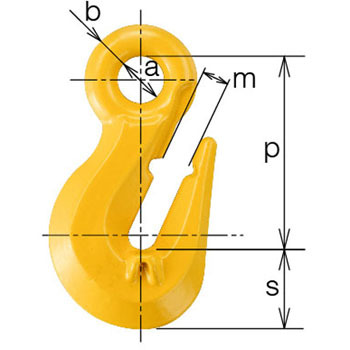 There is a table that holds the frame so that the frame of the chain hooked does not bend under the load at the time of lifting. There is almost no cheap item. There was the goodness of first-class goods which I feel using. This review is about item#75124095.